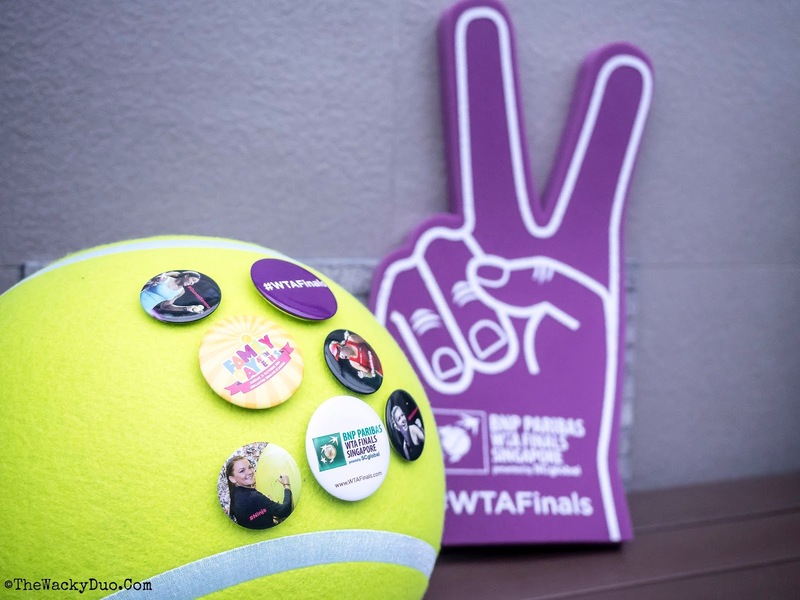 WTA Finals is back in Singapore! 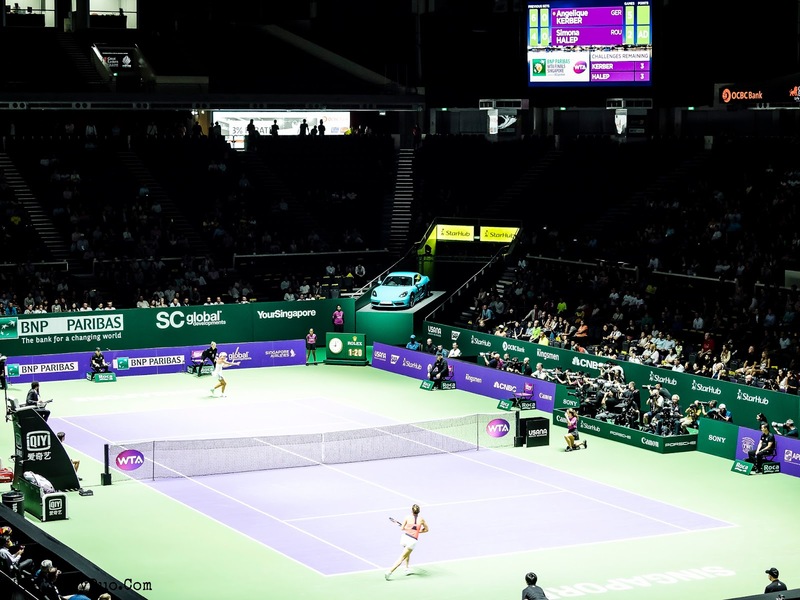 Featuring the best 8 Women players this season, There is an additional set of 8 quality doubles players, this world class tennis match is now on at the Singapore Indoor stadium from 23rd Oct to 30 Oct.
We had the privilege of attending Session 3 at the invitation of WTA. It was our first time watching Tennis LIVE and it was Wow. 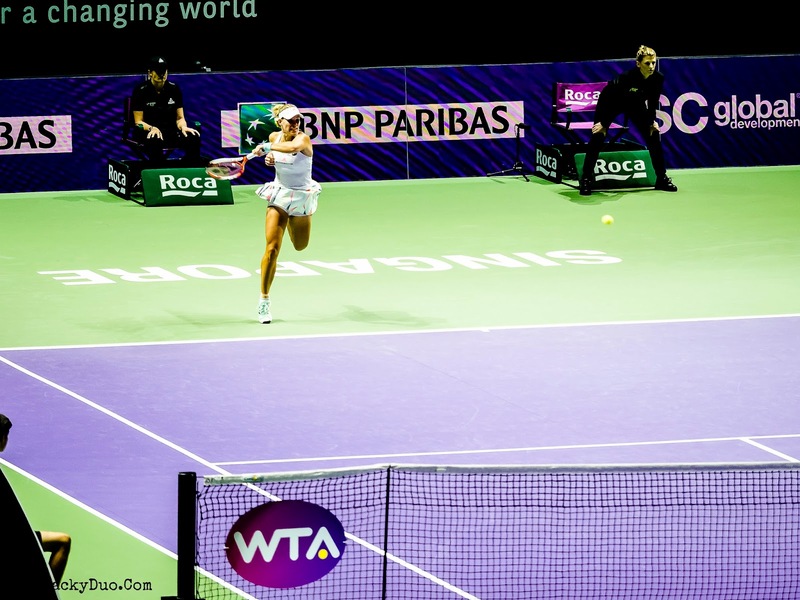 The match we caught is between Angelique Kerber and Simona Halep. Watching Tennis on TV is amazing enough, watching it live was something else. The atmosphere, the anticipation of each point, the cheers that follows when a point is won, the shouts of joy when an impossible shot is made... all these are stuff that you cannot capture while watching tennis on TV. The best part of the night was watching the World Number one Angelique Kerber in action. That itself was worth the admission ticket. It seemed like we were in Wimbledon sans the hot sun. It was a well played match with AK taking the honours. Don't miss the action. You can still get tickets for the semi finals and finals on Sunday. We are sure it will be well worth it! Get your tickets here and don't forget your popcorn too! 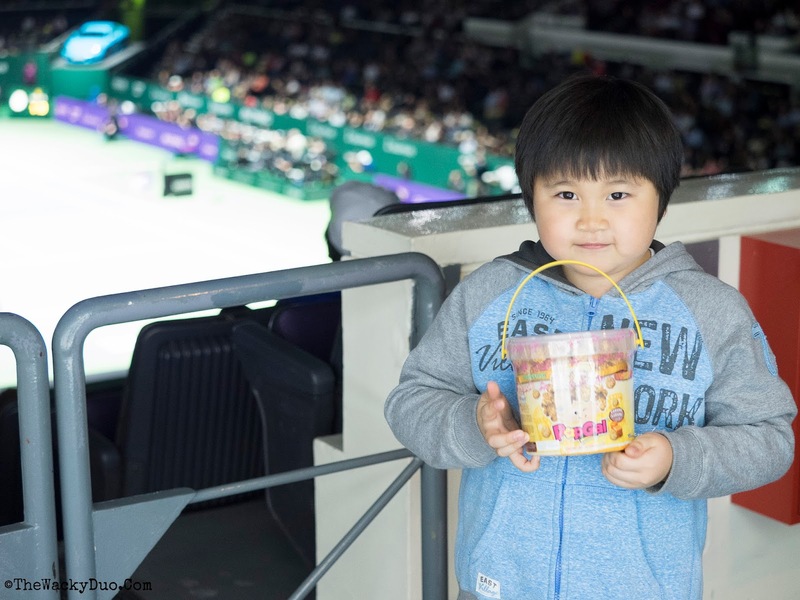 The Wacky Duo was invited to watch the WTA Sessions only. All Opinions are of our own.